Teeth misalignment is present in many children in varying levels of severity. As a pediatric dental practice, we are proud to have an on-site orthodontist available to treat these conditions and give your child a healthier, more beautiful smile. Elk Grove Kid’s Dentist and Orthodontics provides all phases and types of orthodontia to younger patients in Elk Grove, Galt, Sacramento, and the surrounding communities. As children grow into teenagers, existing teeth misalignment can become more severe. In order to treat these conditions, our orthodontist provides both Phase I and Phase II orthodontics. Phase I orthodontic care is comprised of preventive treatments performed before all permanent teeth have erupted. These may be necessary if a child’s upper and lower jaw are moderately or severely misaligned, or if the jaws do not have enough room for erupting adult teeth. As our practice conducts your child’s dental exams, our doctors may see that your child is developing these particular forms of misalignment. By using retainers or partial braces, our orthodontist encourages the still-growing jaws of your child to properly align and develop enough room for growing adult teeth. Phase II orthodontics is the use of traditional braces with which you may be familiar. Once all your child’s adult teeth have grown in, Dr. Suliman applies braces to the permanent smile, which are worn for 18 to 24 months on average. While Phase I prevents the more severe teeth alignment cases, Phase II adjusts minor and moderate misalignment that may still be present in the permanent smile. The result is a smile that has the utmost functionality and health, as well as beauty. Of course, some teenagers do not need traditional or phased orthodontic treatments. In fact, for some teens, receiving braces is mostly a cosmetic concern. In these instances where the beauty of the smile is the only reason your teenage child may need orthodontic treatment, we offer Invisalign® as a cosmetic alternative to traditional braces. Invisalign is a series of clear trays worn on teeth, which your child may find preferable to braces. This preference is due to the fact that the aligners are removable for eating and teeth cleaning. No changes to their diet or additional accessories for cleaning teeth are necessary; your teen simply pops off the aligners for eating or brushing and flossing, cleans the aligners, and pops them back onto the teeth. As long as your child remembers to wear the aligners for 20 to 22 hours a day, the treatment will successfully realign their smile. Elk Grove Kid’s Dentist and Orthodontics helps children and teens in Elk Grove, Sacramento, and Galt receive full orthodontic care. 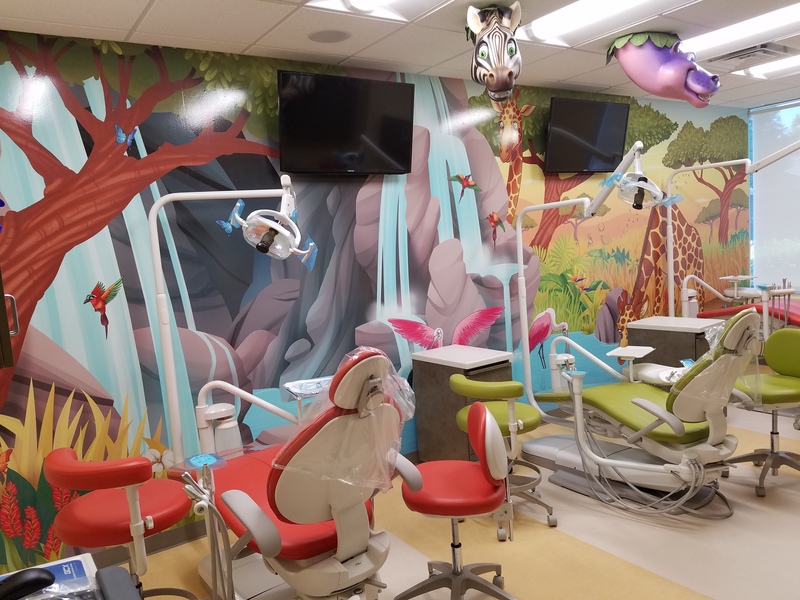 To find out what other pediatric dental services we offer, contact our practice today.